MOON TOWNSHIP– The Robert Morris softball team (12-27, 3-3 NEC) hosts the Wagner Seahawks (11-20, 1-3 NEC) for an NEC doubleheader on Saturday, April 13th at 1 p.m. and 3 p.m. The Colonials last played the Youngstown State Penguins (18-20, 6-2 Horizon League), splitting the series against them. The Colonials are currently tied for fourth in the NEC, while Wagner sits in eighth place. The last games for Wagner was a series against the Saint Peter’s University Peacocks (4-31, 0-6 MAAC), with the Seahawks losing the first game but coming back to win the second game. Youngstown State got the scoring going when they scored one run in the first inning. Both teams scored two runs in the third inning. The Colonials committed two errors and struck out six times during this game. In the second game, the Colonials flipped the script on the Penguins, as Robert Morris scored first. They then scored two more runs in the third inning and another run in the fourth inning. They almost shut out the Penguins, but in the top of the seventh inning due to an error from a normally easy throw to first base, a run to crossed the plate for the Penguins. The star players for the Colonials in the first game were Briana Bunner and Laura Coulter. On the offensive side of the game, Bunner had one RBI and two walks. Coulter pitched 6 innings and had four strikeouts but gave up two earned runs. The star players for the Penguins in the first game were Elle Buffenbarger and Grace Cea. Buffenbarger pitched a solid seven-inning outing, with six strikeouts and only two earned runs. Cea added the offense to back up her teammate when she got one hit and two RBIs. The star players in the second game for the Colonials were Dana Vatakis and Abrielle McCartney. Vatakis pitched six lights out innings and nearly shut out the Penguins and got three Penguins hits to swing and miss with her pitches. McCartney brought in the offensive side with two hits and two RBIs plus she scored too. Wagner suffered a tough loss in the first game against the Peacocks in which the Peacocks scored four runs in the second inning. The Seahawks scored three in the bottom half of that same inning. Wagner soon tied it up in the fifth inning, but then the Peacocks went back on the attack in the seventh inning when they scored three more runs. The Seahawks scored one run in the bottom half of the inning but took the loss in the end. In the second game of the doubleheader, the roles changed as Wagner scored one run in the first inning, then added three more runs in the second inning. The Peacocks battled back as they scored two runs in the fourth inning, but the Seahawks added another run to their score and sealed the win. The star players for the Seahawks in the first game were Karen Prihoda and Kaila Smith. Both players scored in the game, as Prihoda had one hit and one RBI, while Smith had two hits and one RBI. The star players of the first game for the Peacocks were Harley Connors and Anja Solveig Kane. Connors and Kane brought great offense, with Kane having two hits and two RBIs, and Connors adding two hits and one RBI. The star players of game two for the Seahawks were Eve Harvey and Hannah Lewis. Harvey pitched all seven innings for the Seahawks, only allowing two earned runs. She also had two strikeouts. Lewis helped her teammate out by getting two RBIs to keep the game in the Seahawks hands. The star players for the Peacocks in the second game were Alina Guevara and Alyssa Mido. Both players had one RBI, but Guevara had two hits, along with her RBI. 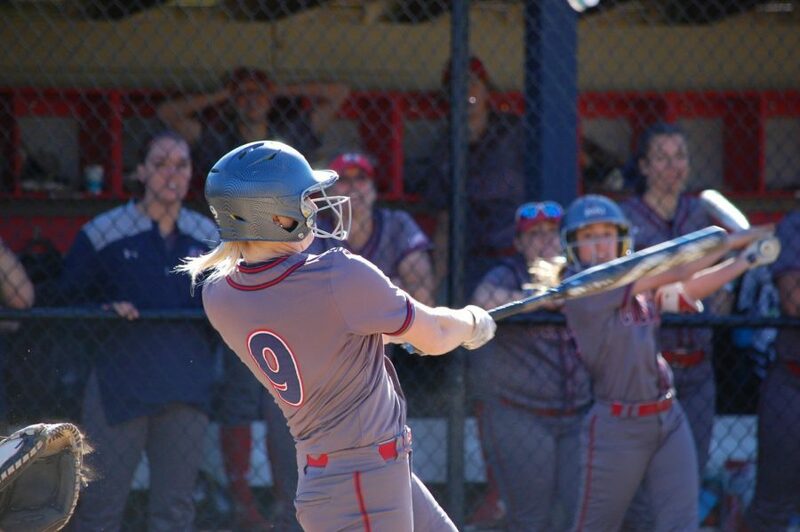 Natalie Higgins (RMU)- Higgins leads the team in every offensive category with a batting average of .302. She adds a slugging percentage of .519 and rounds it out with an on-base percentage of .339. 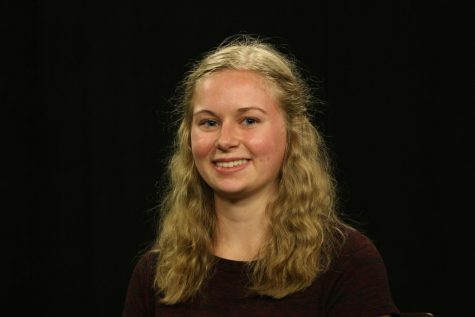 As a junior, she is well experienced on the field, and at the plate. Dana Vatakis (RMU)- Vatakis is one of the youngest faces in the pitching staff. The freshman has had the most time in the circle. She has 46 strikeouts plus an ERA of 4.04. She takes command of the game with her aggressive movement and speed. Karen Prihoda (WAG)- Prihoda serves as Natalie Higgins’ counterpart for Wagner, as she leads almost every offensive category with a batting average of .351 then a slugging percentage of .443. She has been walked 14 times this season, which shows patience and discipline at the plate. Kayla Hooks (WAG)– Hooks currently sports a .333 in both her batting average and on-base percentage. She has only made two errors this season. The freshman is proving to be a great young member of this Wagner team. I think the Colonials will split with a win and a loss to the Seahawks. These games will be a bitter fight until the last inning. The next game for the Colonials is their last home game before going back on the road for two weeks where they will play the Sacred Heart Pioneers (19-21, 4-4 NEC) on April 14th at 12 p.m. and 2 p.m.